Imagine one day you log into your Facebook account and you see a bunch of posts and messages from “you” that you definitely did not write. Then you notice that your email account is filled with people telling you that you’ve been hacked. You log into your online banking and notice that your money is gone. What happened? You got hacked! If you are like 99% of us, you have the same password for just about everything. You’ve tried to use “stronger” passwords, but you always forget them and end up wasting all this time resetting your password so you just go back to the tried, tested and true. I’ve got bad news for you if that is you. News about a security vulnerability called Heartbleed in many websites such as Yahoo, Google, Facebook, and Dropbox were all affected. This means that if you have an account with any of those sites and you use that same password across other sites then someone could have your password, especially since you likely have the same username or email address on other sites as well. I strongly recommend you start using a password manager. You can do your research and find the best one for you. During my research, I’ve found that the best one so far I can find is LastPass. Last pass is a secure way to keep track of all your passwords automatically. Best part is that you only have to remember one Master Password and the application will automatically fill in all the passwords as you visit sites on the internet. That way, when something goes wrong you can easily see all the sites that you use and change passwords accordingly. The longer the better. Creating a password with more than eight characters is recommended since it’s usually the minimum required, and nearly everyone sticks with the minimum. Form a seemingly random sequence of words and/or letters. Create a phrase or series of letters that isn’t common but is easy to remember. Use this as your base word. For example, if your children’s names are Cindy, Susan and Rob, pick ‘cisuro’. Or if you grew up on Elm St., choose ‘houseonelm’. Use numbers you will remember. You are usually required to add numbers or symbols to your base word. This time pick your kids’ ages in sequence rather than your birthday, i.e. cisuro5710. Or the house number on your first address i.e. houseonelm214. Get complicated. Use punctuation and symbols to mix it up a bit this time. 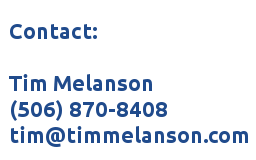 For example, type in cisuro_5710 or houseonelm#214. Make the case complex. Throw in some upper and lowercase letters, like CiSuRo_5710, or houseOnElm#214. 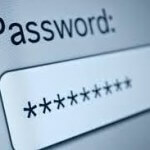 Keep it simple, with memorable alterations for multiple passwords. 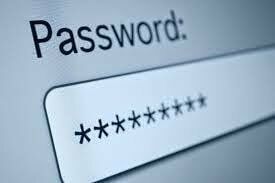 Stick with the same or similar base word each time you create a password, altered slightly so you remember it but no one else can crack it. CiSuRo_5710 can become mykidsCiSuRo_5710. Or houseOnElm#214 can easily revert to myfirsthouseOnElm#214. I very strongly recommend you do this now!